For people who always want the newest technology, the old models usually get chucked out as soon as the next big thing comes along. In an effort to reduce e-waste and generally make using computers more awesome, Hong Kong-based company Gowin Technology created a device that turns standard computer screens into touchscreens. The Zmartframe Touch PC fits over an existing monitor and is attached via straps around the back. 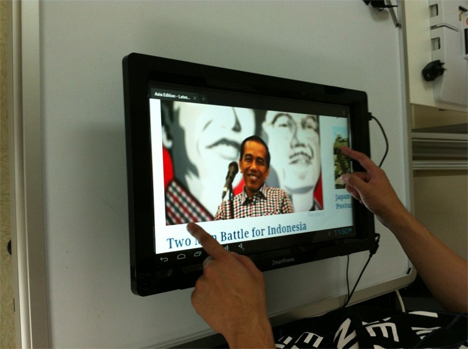 It works with 19″, 22″, or 24″ Windows monitors, connecting via USB and calibrating with a Windows-based program that has users touch certain spots on the screen. The device has an impressive response time of 8 ms so there’s no maddening delay when you type or tap using the device’s two-point touch system. 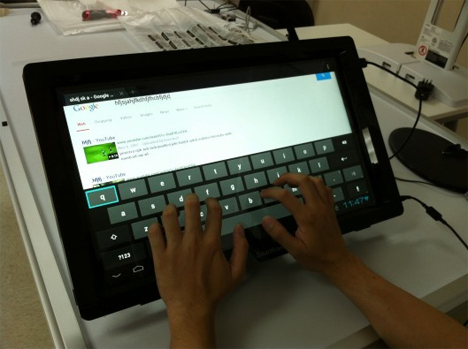 Although it is designed to work on Windows systems, the Zmartframe Touch PC also comes equipped with an Android Mode. 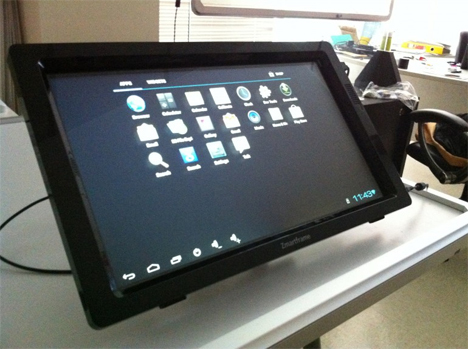 When set to Android Mode, plugged into a power source, and connected via HDMI, the monitor becomes a standalone Android tablet – albeit a very large, not-so-portable one. We love the idea of reducing e-waste, but we aren’t sure just how large a market the product will have. There aren’t too many folks still using desktop PCs, and those who do aren’t likely to be so eager to hold onto them that they’ll spend $130-$300 (some of the funding levels on the product’s IndieGoGo campaign) to hold onto them. Still, the Zmartframe Touch PC is a pretty cool idea that could make usable computers out of the old LCD and LED monitors you might have lying around. See more in Computers or under Gadgets. July, 2014.